The NSF Split is a software that is used to split large sized Lotus Notes NSF database containing mailbox, archive, and contacts into desired smaller sized NSF files. It can split NSF file in multiple ways: Size, Folder, Year, and Date. The software allows Lotus Notes user to split their large NSF files into smaller segments as specified. The Tool requires installation of Lotus Notes for splitting the Lotus Notes NSF file and is compatible with all Lotus Notes versions. A report in CSV file format will be generated with the folder path, size of NSF Filesbefore and after the split. Demo version will export first 15 mails of each folder from the NSF file. Lotus Notes and the Domino server uses Notes Storage Facility (NSF) files as its storage pool for storing all the information related to a Notes account like Emails, Contacts, Calendar, tasks etc. It can be stored either locally on the system or in Domino Server. Locally stored NSF files are those files stored in our system while Server Stored NSF files are the files stored on Domino Server. The NSF files stored in Domino server can be downloaded by the Notes Clients for using the database in offline mode and any changes made are updated when synchronized with Domino server. Why NSF Split software is needed? The mailbox NSF file associated with the Lotus Notes account contains all the important information i.e. the mails, tasks, journals, and calendar. Due to daily exchange of mails on Lotus Notes email client, users face problem when the size of the NSF file increases leading to poor Lotus Notes Performance. 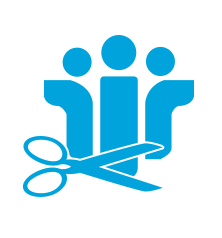 If the Lotus Notes is running out of space or faces memory issues, we need NSF Split software to divide our large sized NSF file in order to reduce the file size and improve the performance. The main reason behind the global acceptance of Split NSF tool is that it supports both the NSF files generated by Lotus Notes and the Domino Server. The software can split the Lotus Notes NSF database into smaller parts in terms of four criteria i.e. by Size, Folder, Year, or Date. It is compatible with almost all the versions of Lotus Notes. Do I need to have Lotus Notes Environment in order to split my NSF file with this tool? Yes, the installation of Lotus Notes platform is needed for splitting the Lotus Notes NSF database files into smaller segments. I want to archive only the official mails I have exchanged during year 2013 from my large sized NSF file. Can this tool help me? Yes, the tool provides option ‘Split by Year’ to split the NSF file by desired Year. It will divide the itemsof selected year and remaining content in different NSF files. Will the software help me in splitting the NSF files that are stored in Domino Server? 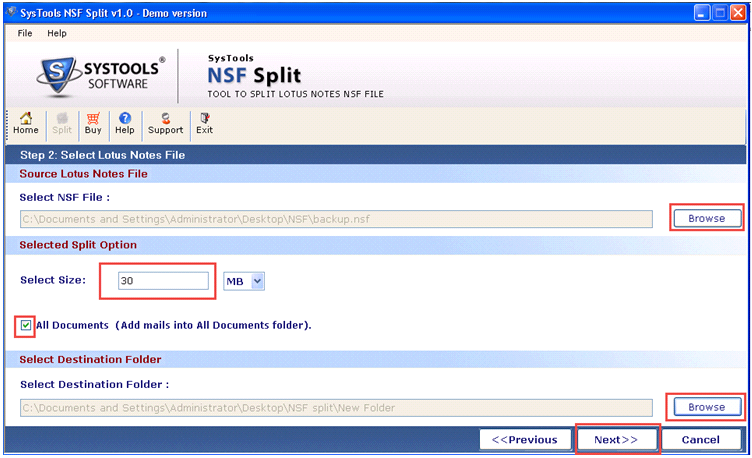 Yes, the NSF Split software has capability to split the NSF files stored in Domino Server and those files created by Lotus Notes. 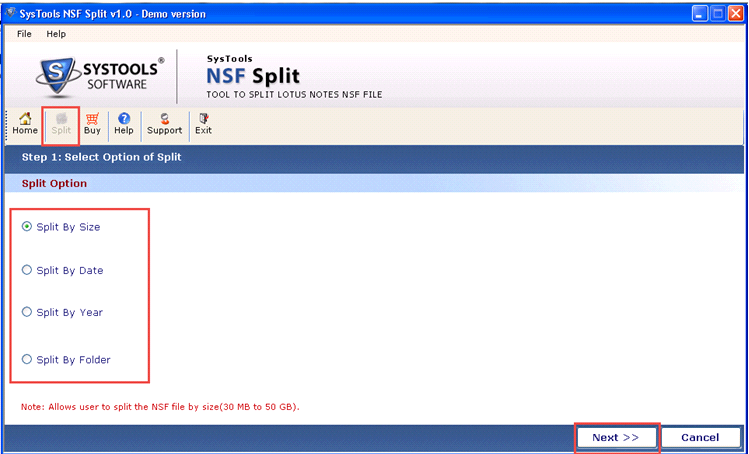 Can I use NSF Split tool to split encrypted or password protected Lotus Notes NSF File? The software can easily split the encrypted or password protected NSF files into desired smaller parts as long as the password of the file is known.